In our post on Smart Security System Design, we examined the importance of making smart decisions while designing and installing a home alarm system. However, keeping your home secure requires more than simply installing and alarm system. As with most important electronic products, giving your alarm occasional “check-ups” goes a long way. 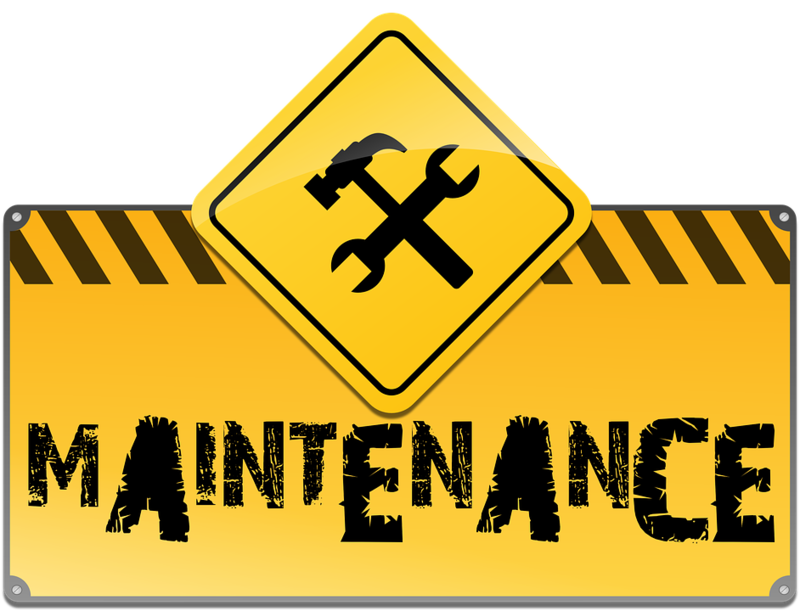 The basics of security system maintenance are easy to perform, and require consistency above all else. In this post, we look to help you keep your system running smoothly for as long as possible. We’ll examine how to look for and diagnose potential issues. From there, we’ll explain how to maintain and test your security equipment. Additionally, we’ll also focus on how you can have your alarm inspected and repaired as efficiently as possible. Let’s begin by discussing how to check your system’s status to ensure your alarm remains functional and ready to arm at all times. In our series of posts on diagnosing alarm trouble signals, we discussed the importance of finding the system’s “status” button. The title of this button differs based on what type of security system you have. Regardless of the name, the purpose remains largely the same across all types of alarm systems. Pressing this button provides you an up-to-the-second report on your security system’s well-being. Some status updates will create an audible notification to alert you to trouble with your alarm. However, not all system updates create this alert. Every security system has a unique way of alerting you to alarm issues or messages. The QOLSYS IQ Panel 2 system pictured here has a touchscreen interface with a “mail” icon in the top right to alert you to status updates. Most alarms do provide some visual clue to let you know to check the system status. This may consist of a blinking asterisk, a light, a “message” icon, or a text alert on the keypad’s screen. Unfortunately, many of our customers have missed this visual aid and failed to fix a problem with their alarm. Checking your system’s status regularly can help you catch and fix these issues as they arise. Learn how your specific security system alerts you to a status change, and check your alarm regularly. 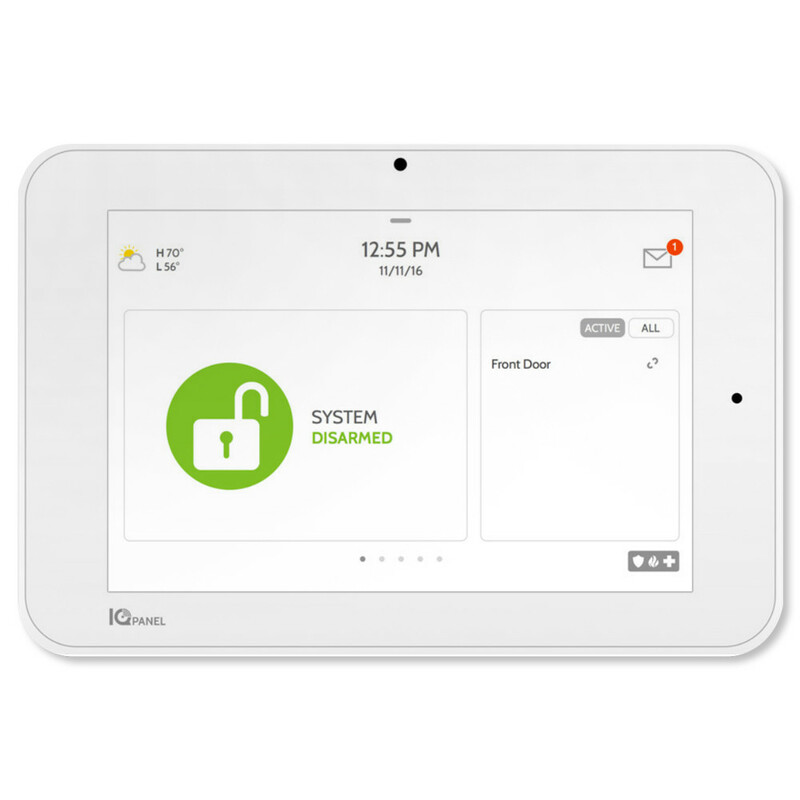 If you’ve had one of our alarm systems recently installed, you likely have either a Concord, Networx, or QOLSYS alarm panel. You can read up on diagnosing trouble conditions on each of those panels by clicking on the links provided. Let’s look at another very simple yet important way to help ensure proper security system maintenance. Keeping your alarm sensors clean goes a long way towards ensuring proper system operation. We pointed out in our post about Security System Monitoring how many customer fear false alarms. Not all of these customers realize that keeping sensors clean — especially motion detectors — greatly lowers the chance of a false alarm. Most motion sensors detect motion by sensing changes in the amount of heat in a room. Dirt, dust, or grime getting inside the detector can provide a change in heat and create a false alarm. Spiders or insects crawling inside detectors can also create this same response. Check your system contacts for accumulated dirt and dust regularly, and clean the areas around them if needed. Sensors installed in basements get especially dirty very quickly, so give those extra attention. Maintaining your security devices will both help prevent false alarms and help keep your sensors in good working order for as long as possible. Now, let’s look at a tip to make sure your sensors will create the proper alarm response when needed. Periodically testing your alarm system can help ensure its proper operation when you need it most. When we refer to a security system “test,” we have a couple different goals in mind. A large part of security system maintenance involves ensuring communication between your alarm and our central station. You want to feel confident that if your alarm senses trouble, help will be a phone call away. If your alarm doesn’t send a signal upon activation, nobody will know to make this phone call. 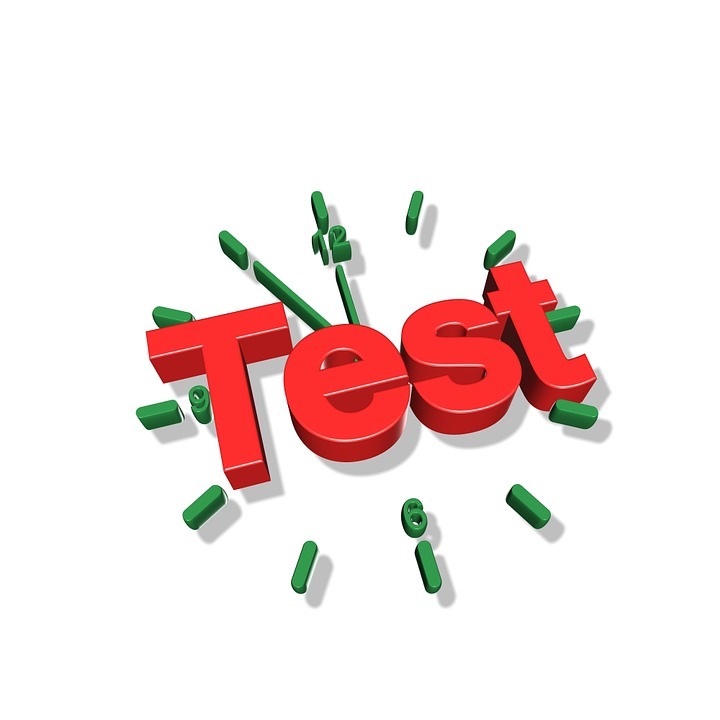 The second type of system test you should perform involves testing your sensors. For example, a wireless door sensor may lose radio contact with your alarm panel. If this happens, a burglar coming through that specific door will not create an alarm. Maintaining both central station and inter-system connectivity are both crucial. To perform a system test, call either your central station or the company that installed your alarm. Explain that you wish to put the alarm on “test” mode. This allows signals to go through to the central station without their operators dispatching the police. Activate your alarm by either pushing a panic button or by arming your system and opening a door with a contact on it. After the siren has sounded for at least 30 seconds, call the same number you called to put the system on test and ask if any signals went through. In order to test multiple sensors, open every armed door and walk in front of every motion detector while testing your alarm. When you call to verify the test, either your central station or alarm company can tell you which contacts created an alarm. In this manner, you can verify both central station communication and sensor operation at the same time. Let’s look at a different type of system test that you should take into account during security system maintenance. 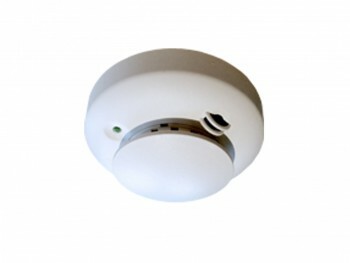 A system of smoke detectors, such as this one by System Sensor, installed as part of a home burglar alarm now require a professional annual inspection. In addition to self-testing, some security devices deserve — and even require — professional testing. Until very recently, only commercial fire alarm systems required an annual inspection from a security company. However, as we pointed out in our Residential Fire Alarm Code Change post, Massachusetts state fire code now requires annual inspections for smoke detection systems connected to an alarm in homes as well. If this applies to you, make sure to keep up with these inspections. Doing so can help you from a safety perspective, and also has additional benefits. First and foremost, smoke and carbon monoxide detectors save lives, and you should always ensure these devices’ proper operation. Additionally, your insurance company may hold missed tests against you in the case of a fire. Since the law now requires these tests, keeping up with them will also help keep you in good graces with your homeowners’ insurance provider. Let’s look at one more tip that can help keep your alarm in good working order with minimal cost and effort. Purchasing an extended warranty and service plan can help you keep your alarm’s testing and maintenance up to date very efficiently. For one, it removes the cost of changing equipment that needs replacing. You may run across a broken system component every now and then during your security system maintenance checks. If you have one of our service plans, we’ll replace that part for free. This includes both the cost of the part itself and the labor involved in traveling to your house to make the replacement. Our most inclusive service agreement also includes an annual system check-up. That means that every year, a licensed technician will run through all of the procedures and tips described in this post. If anything needs addressing, we can fix it for free while on site. To many of our customers, this service plan represents the simplest and most cost-effective way to address security system maintenance. We hope that this post has given you some good ideas for security system care and maintenance. Since home security remains a priority at all times, we highly recommend following these steps frequently. Unfortunately, many security products are neglected until they are needed the most. Keeping your system in good working order can unsure that you catch any issues in time to fix them before, and not after, your system fails during an actual emergency. If you have any questions about the information in this post, we encourage you to contact us. We’ll be happy to help with any aspect of security system maintenance, system design, or general home security that you may wish to address. Together we can help design and maintain a security system that meets your needs and keeps you secure for as long as possible.